Donovan Weaver, 2016 graduate and current FFA member, won Grand Champion Market Lamb at the Solanco Fair this past week with one of his two lambs entered at the fair. 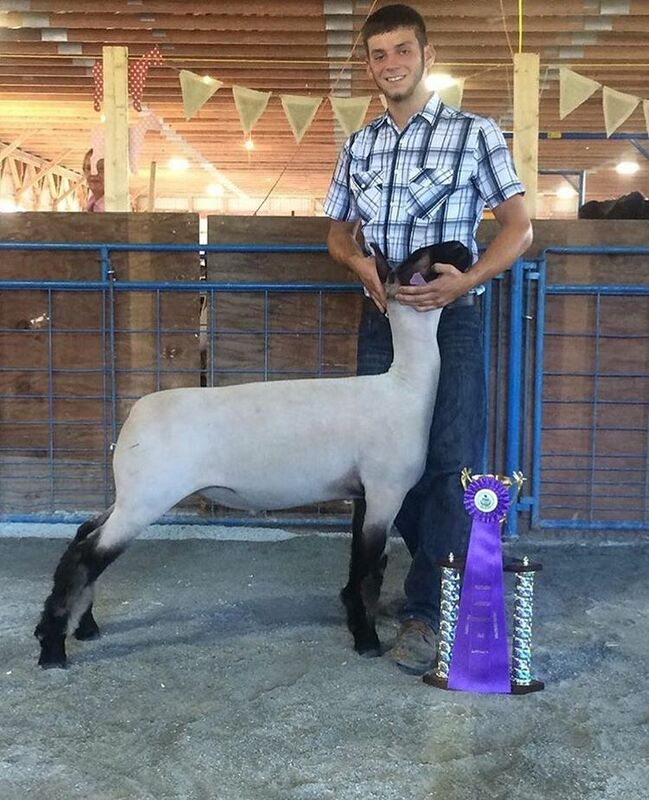 Donovan Weaver with his Grand Champion Market Lamb at the Solanco Fair. The lamb weighed 144 pounds and Weaver has been raising it since late April. The lamb--a Hampshire Suffolk cross--was purchased by Fulton Bank on Friday night. Weaver won light heavyweight class, overall heavyweight class, and finally grand champion.